Golfweek has released its 2015 lists for the Best Resort Courses, Best Residential Courses, and Best Caribbean and Mexico courses. The annual lists recognize 32 Nicklaus Design golf courses in three countries and 14 U.S. states, but it’s Cap Cana in the Dominican Republic that takes top honors—and for the seventh consecutive year. The Punta Espada course at Cap Cana leads the Caribbean and Mexico courses list, a top-50 roll-call with one out of every five courses designed by Nicklaus Design—more than any other design firm named on the list. Punta Espada was first named No. 1 on the Best Caribbean and Mexico courses list in 2009—just one year after the course opened for play. 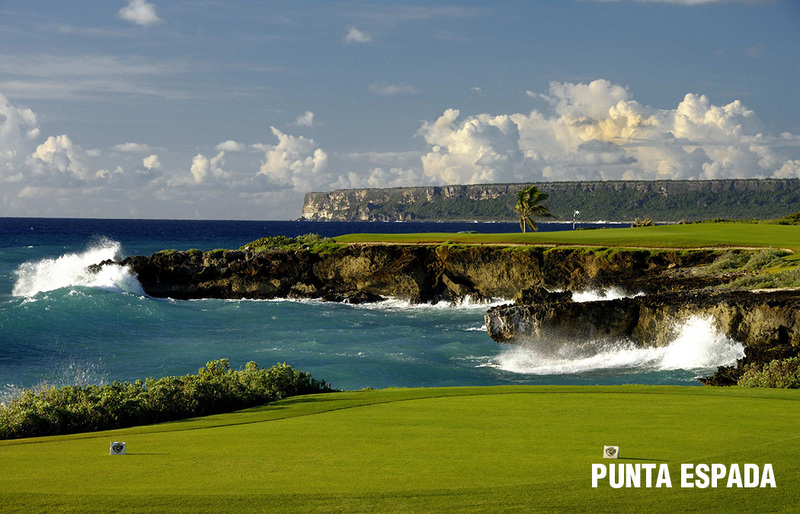 That same year, and through 2010, Punta Espada played host to The Cap Cana Championship on the Champions Tour. With eight holes playing to or along the sea, and 15 holes overlooking it, the Jack Nicklaus Signature Golf Course in Punta Cana, on the northeast tip of the Dominican Republic, offers extraordinary views of the Caribbean. Punta Espada isn’t the only course to go back-to-back in the list’s top-10. Another course to maintain its rank in the list is the No. 6 Four Seasons Resort Punta Mita’s Bahia Course, a Jack Nicklaus Signature Golf Course northwest of Puerto Vallarta, Mexico—one of nine Nicklaus Design golf courses in Mexico to be recognized in the list. Nicklaus Design layouts also claim spots 12 through 15 on the list, with Four Season Resort Punta Mita-Pacifico (No. 12), Vista Vallarta Golf Club-Nicklaus (No. 13), the Ocean Course at Cabo del Sol (No. 14), and El Dorado Golf & Beach Club (No. 15). Other Nicklaus Design courses ranked within the top-50 were Puerto Los Cabos (No. 33), Moon Palace-Lakes & Jungle (No. 40), One & Only Palmilla-Mountain & Arroyo (No. 45), and Club Campestre (No. 46). In all, the Best Courses in the Caribbean and Mexico list recognized nine of Nicklaus Design’s 25 courses in Mexico. Leading the seven Nicklaus Design courses to be ranked in Golfweek‘s Resort category is No. 13 Harbour Town Golf Links, the Golden Bear/Pete Dye track in Hilton Head, S.C., that gave Jack Nicklaus his start in golf course design more than four decades ago. The course is host to the RBC Heritage, the only PGA Tour event in South Carolina. It is the centerpiece amenity to the Sea Pines Resort, which features 54 holes of golf among its many amenities. Fellow South Carolina gem, the May River Course at Palmetto Bluff, located in Bluffton, was ranked No. 25 in the Best Resort Courses category. The Jack Nicklaus Signature Golf Course slid up the rankings five spots over last year. Other courses to be ranked in Golfweek‘s Best Resort Courses list are Manele Bay (No. 32) on the Island of Lanai, Hawaii; Pronghorn (No. 38) in Bend, Oreg. ; The Ritz-Carlton Golf Club at Dove Mountain-Saguaro and Tortolita (No. 51) near Tucson; the Ocean Course at Hammock Beach Resort (No. 58) in Palm Coast, Fla.; and the Champion Course at PGA National Resort & Spa (No. 65) in Palm Beach Gardens, Fla.
More than one out of every 10 golf courses to be recognized in Golfweek‘s Best Residential Courses list is a Nicklaus Design layout, and courses across 12 states were ranked. Castle Pines (No. 8) in Colorado; Mayacama (No. 13) in Santa Rosa, Calif.; and Concession Golf Club (No. 22) near Sarasota, Fla., made the list’s top-25. Dalhousie Golf Club, a Nicklaus Design layout featuring the work of Gary Nicklaus and a former No. 1-ranked layout in Missouri, came in at No. 44, while The Bear’s Club, the home club of the Nicklaus family, improved four spots to No. 51. Promontory’s Painted Valley course in Park City, Utah, was ranked No. 52; The Club at Carlton Woods (Nicklaus) near Houston was ranked No. 65; and Red Ledges Golf Club in Heber City, Utah, was ranked No. 68. Next on the list were No. 71 Desert Highlands in Scottsdale, Ariz.; No. 72 Lake Las Vegas (Southshore); and No. 73 Cordillera Ranch in Boerne, Texas. Colleton River in South Carolina improved eight spots to No. 76, and Reynolds Plantation (Great Waters) in Georgia was ranked No. 82. New to the list this year were No. 86 TPC Snoqualmie Ridge, the layout located outside Seattle and host of the Boeing Classic on the Champions Tour, and No. 88 Las Campanas (Sunrise) in New Mexico. Trump National Golf Club-Jupiter (Fla.) was ranked 90th, and Toscana (South) in Indian Wells, Calif., improved six spots to No. 94 to close out the top-100 list. Jack Nicklaus founded Nicklaus Design almost 45 years ago, and since then, the company has designed over 390 courses open for play in 39 countries and 39 states. For more information on Nicklaus Design, visit www.nicklaus.com.